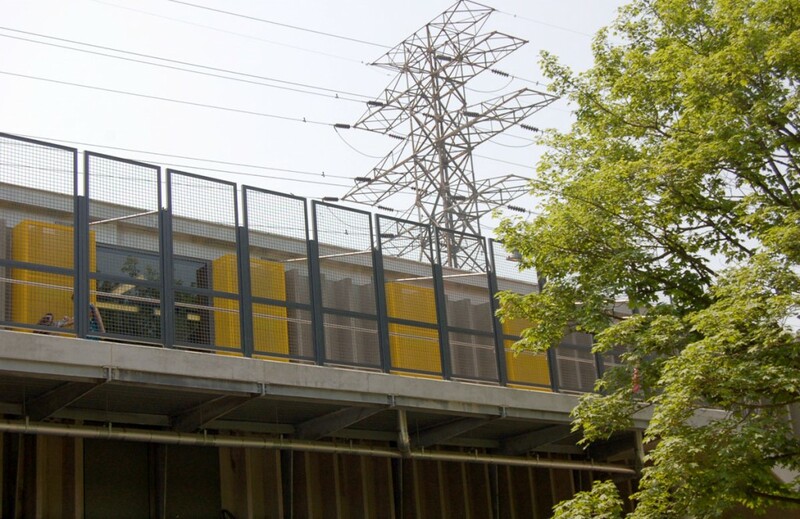 This at-grade perimeter platform represents a substantial upgrade over Victoria Park's original elevated bus bays. 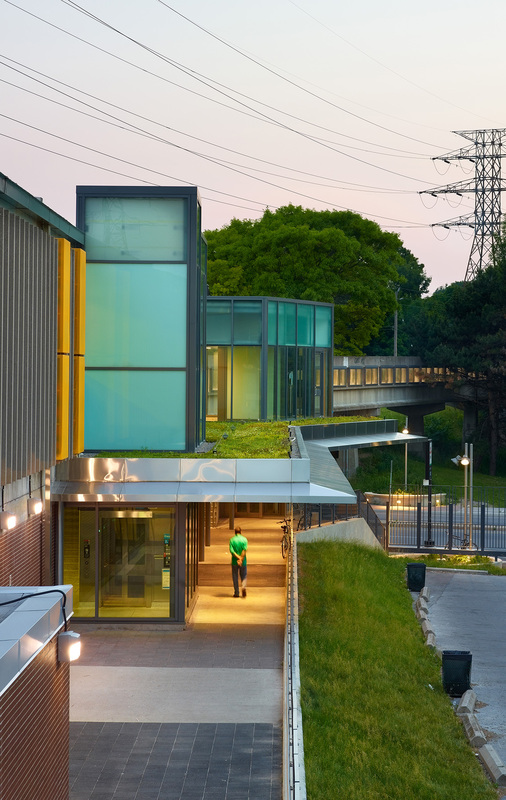 People on the walkway now enjoy views to Dentonia Golf Course and the Taylor-Massey Creek valley as well as into the station's elevated subway platforms, where windows and natural light were added. 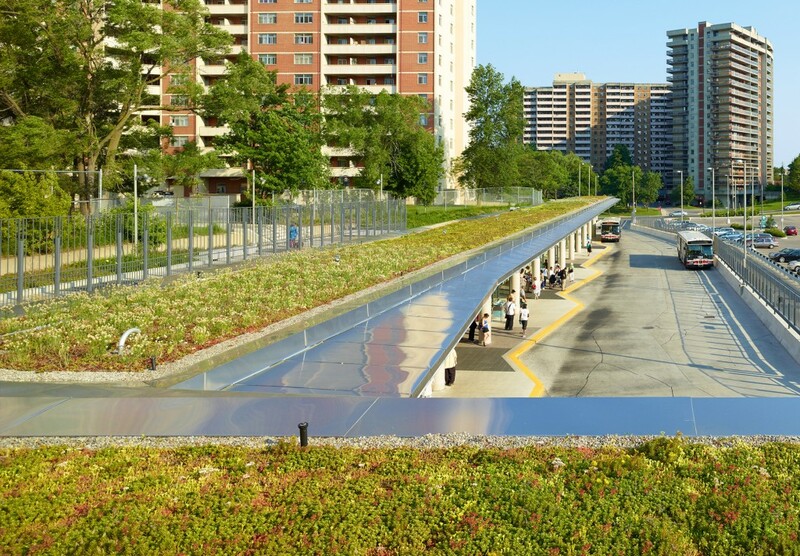 Brown+Storey Architects, working on a team led by Stevens Group Architect, produced an innovative and award-winning urban design for the public spaces and bus terminal that surround a revitalized Victoria Park subway station in Toronto. 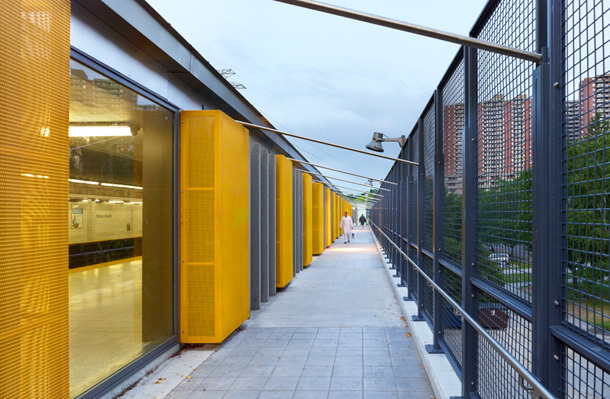 The project, completed in 2011, replaced cavernous aspects of the original station architecture, producing better pedestrian spaces and platform areas while making room adjacent to the site for beneficial redevelopment. 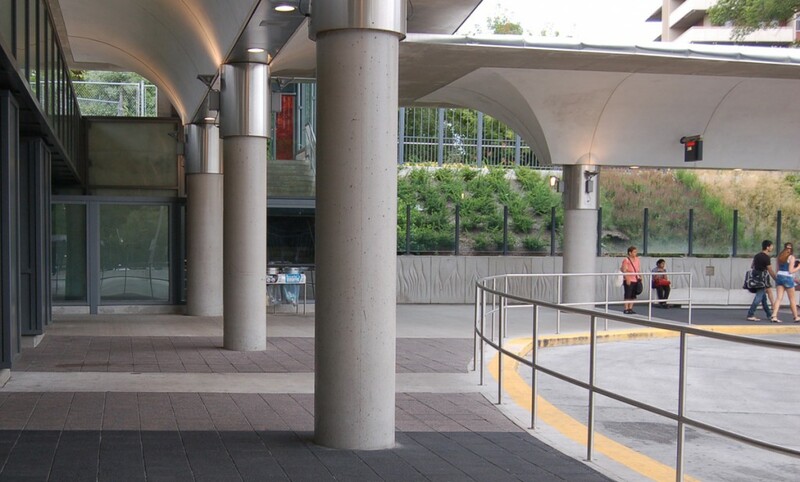 The main Transit Plaza is an open hard surface space that occupies both sides of Victoria Park Avenue aligned with the west wall of the station, claiming the area underneath the overhead bridges with a striated surface composed of bands of concrete and unit masonry. 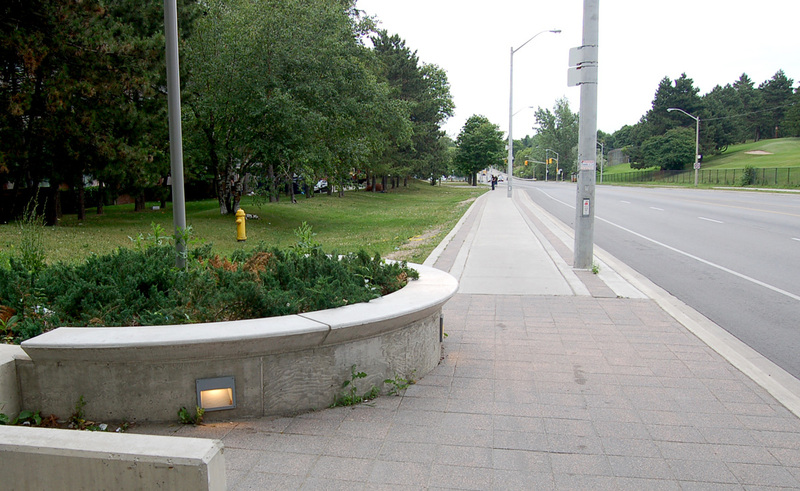 To take advantage of the addition of a new light and crosswalk linking the pedestrians to the east and west sides of the street, the west side of Victoria Park Avenue is included into the urban motif by creating a new sidewalk that is tied into the Transit Plaza by pavement patterns, planting and benches. 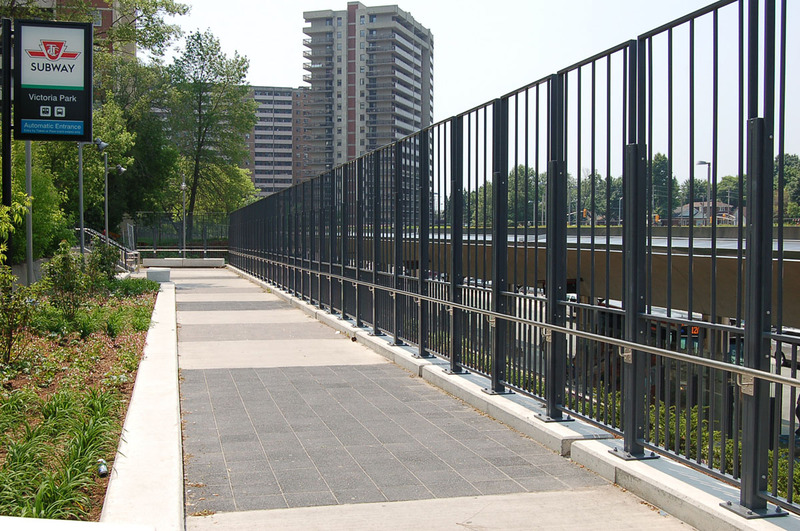 Facilities for bicycle storage and bicycle parking are provided. 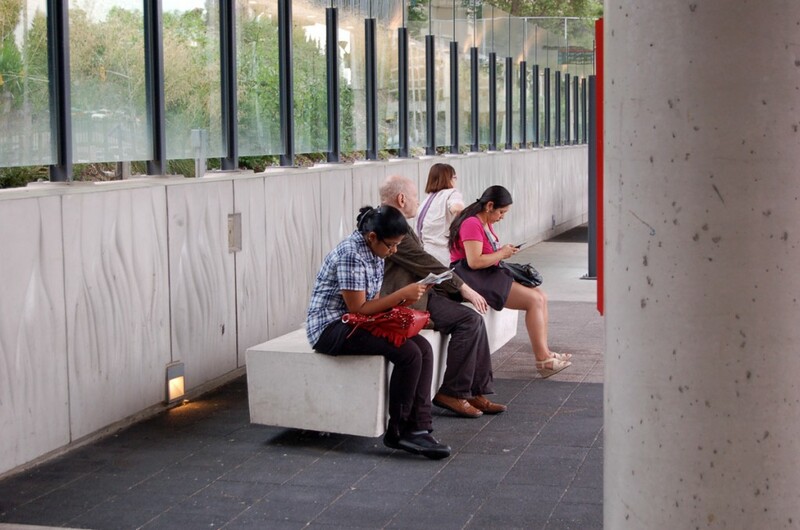 The striated surface in the main body of the Plaza contains large stone benches, lighting and signage, maximizing the affect of the available space in an uncluttered and orderly manner. 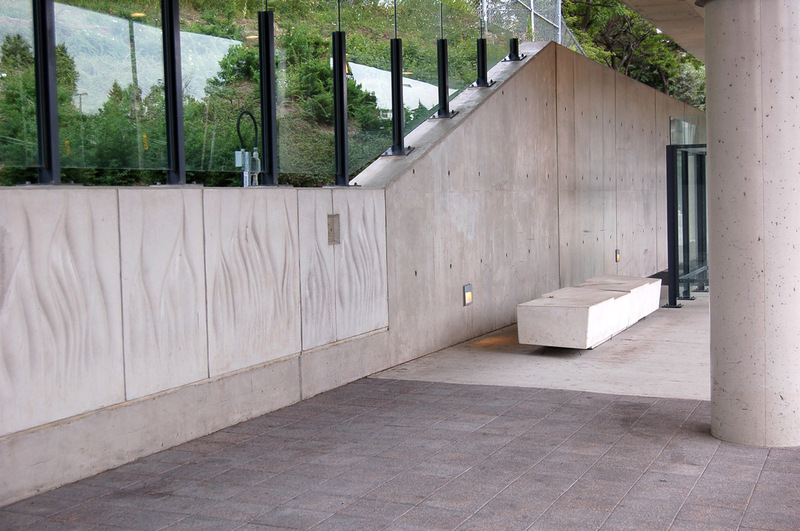 One of the two existing trees has been retained close to the new entrance to improve the ambiance of the space. 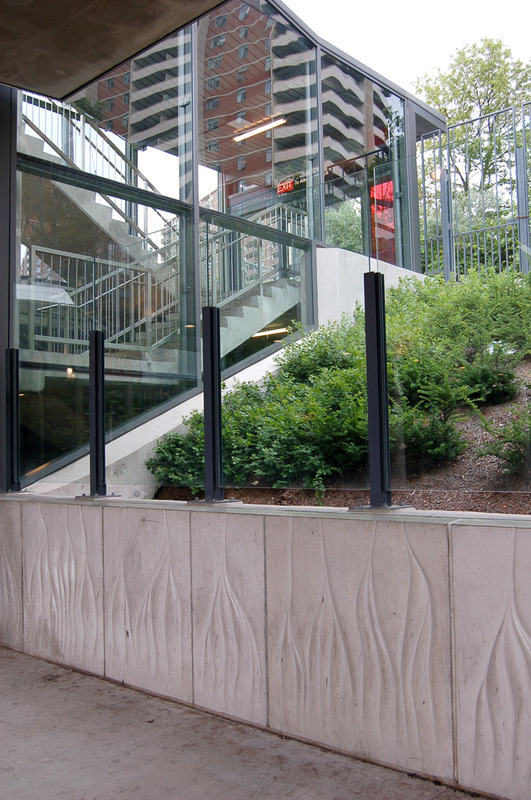 The north and south limits of the Transit Plaza are punctuated by circular and semi-circular planting beds with open metal trellises to clarify the entrance areas, and to make clear separations between different functions. 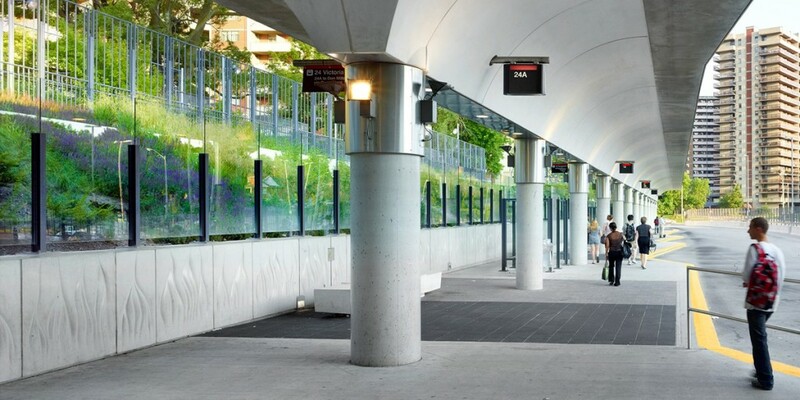 The main entrance of the subway station offers a wide and clear way for large groups of transit users to enter and leave the station in a secure and legible pathway. 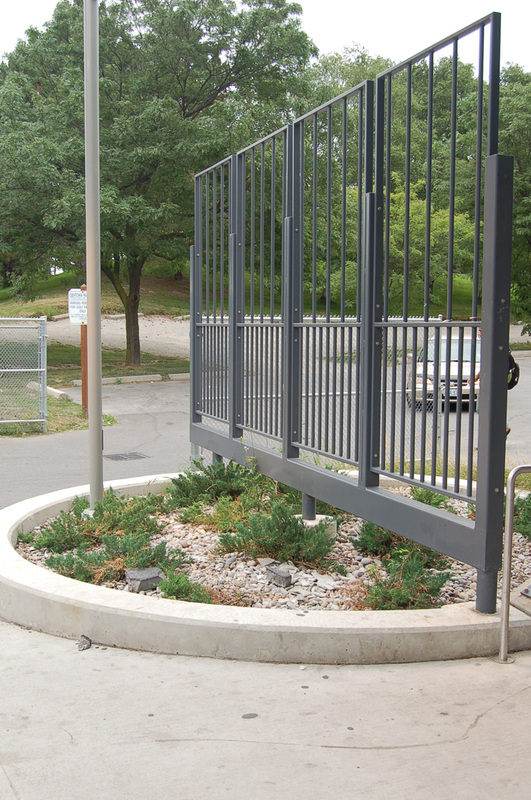 Upgraded pathways and bridge connections provide an aesthetically improved and more secure pedestrian environment linking transit riders with major adjacent apartment complexes at Crescent Town and Teesdale and to Albion Avenue. 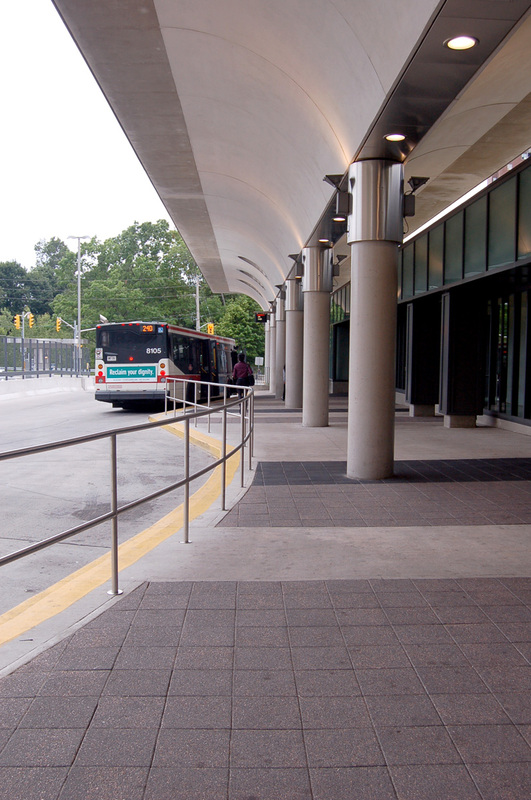 The new bus platforms are broad and comfortable, with seating, shelters, and views to a newly planted slope, all under an attractive architectural canopy. 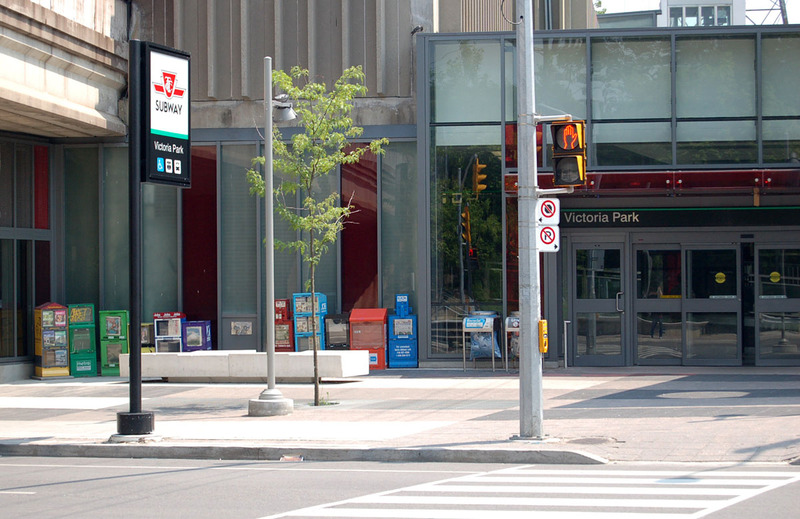 In 2006, the Toronto Transit Commission approved the design and construction of a ground-level, perimeter bus terminal to replace its existing, elevated terminal at the Victoria Park subway station. 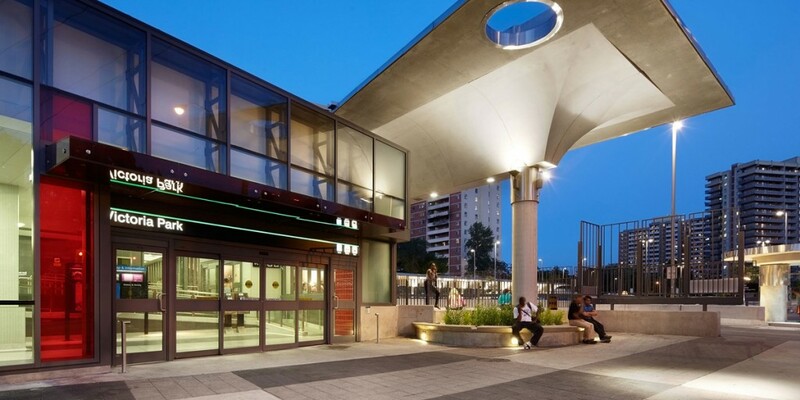 The project allowed for a broader modernization of the station and its relationship to the street and to neighbouring housing projects, and freed land at the corner of Victoria Park and Danforth Avenue that will ultimately be redeveloped. 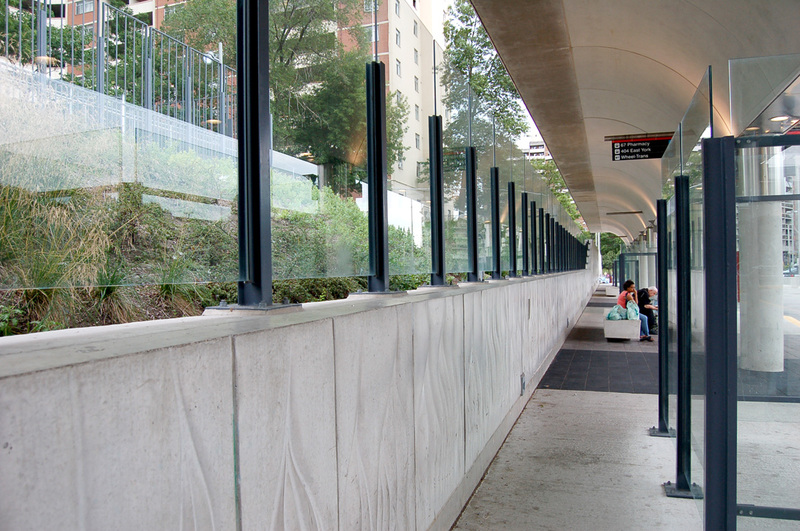 Upgraded public walkways connect Victoria Park Station to its neighbourhood. Image courtesy TTC. 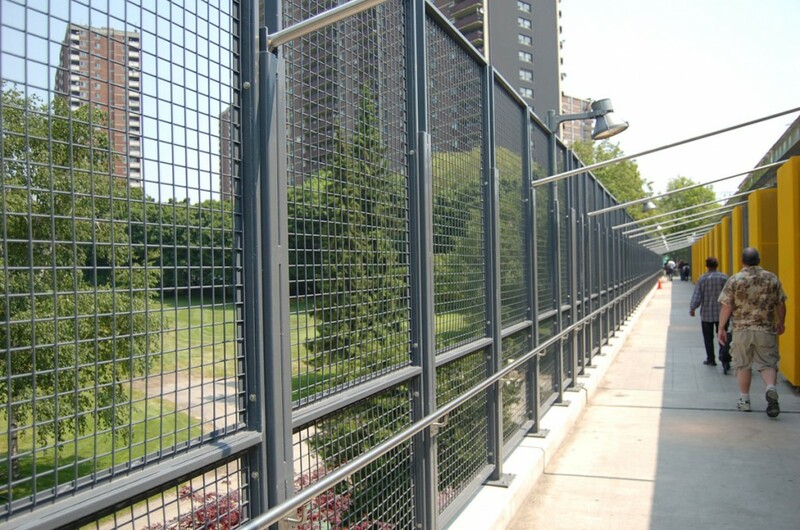 Upgraded urban design details on the elevated pedestrian walkway to the Teesdale Apartments. 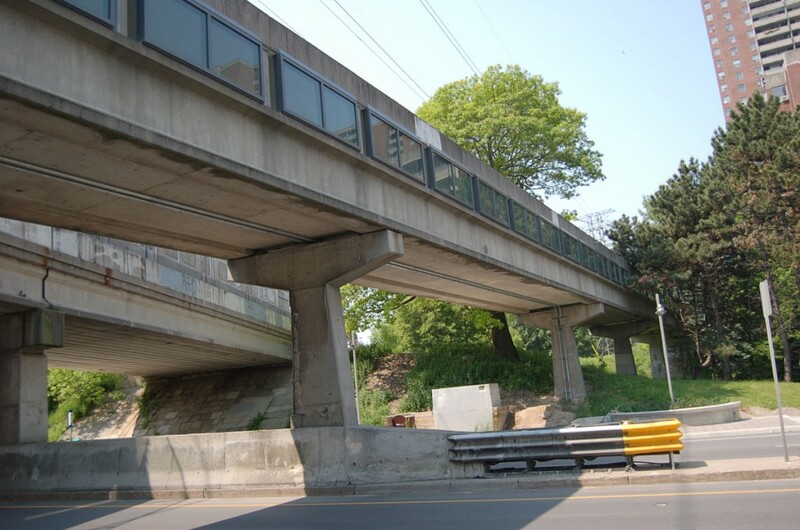 Image courtesy TTC.